When Lauren & Dylan got engaged, they knew they wanted a wedding inspired by their favorite place to travel, New York City, their love of delicious food, and their closeness with family and friends who are family. Elegant, yet welcoming, was the feel they wanted to create – a special treat for all their loved ones.  They chose to host their dream celebration at the historic and stunning Merrimon-Wynne House in downtown Raleigh, North Carolina in the midst of fall. 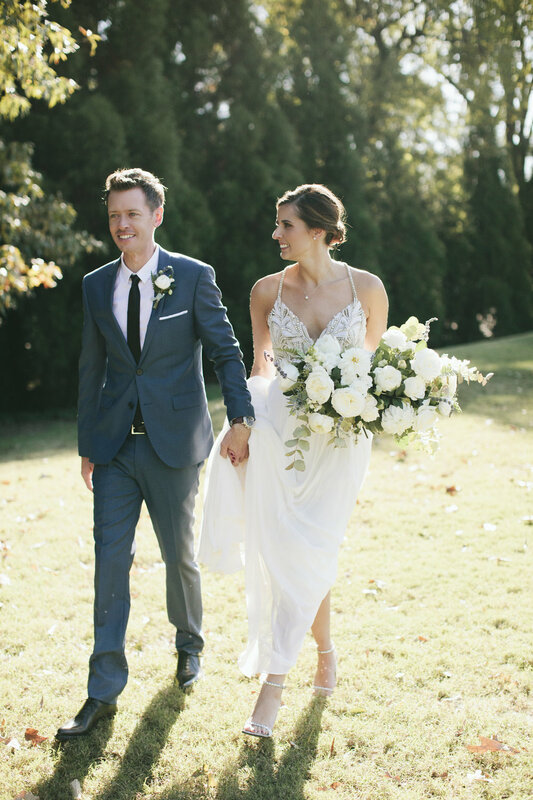 Lauren & Dylan’s refined and modern, yet organic sense of style was showcased throughout their wedding. As guests arrived to the ceremony, bronze lanterns and oak trees welcomed them, creating a warm, intimate space on the large lawn. 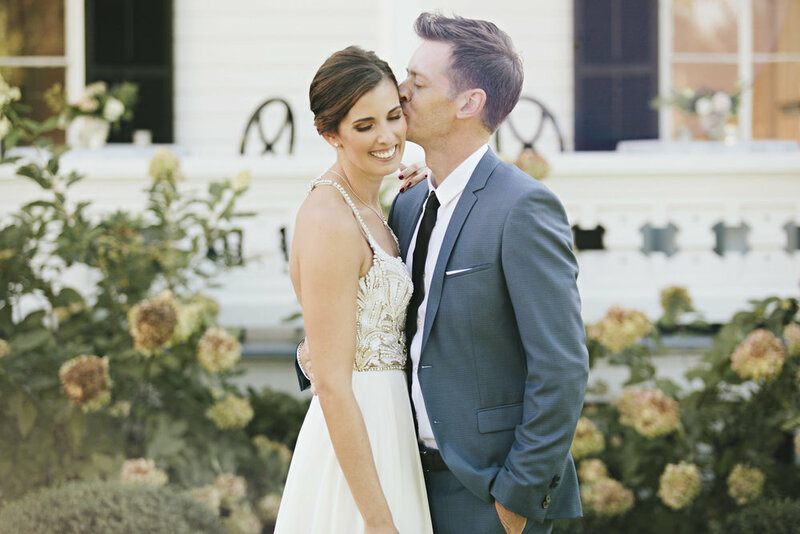 Lauren and Dylan were married on the draped porch of the carriage house, with a close friend stringing acoustic melodies as they walked down the aisle. 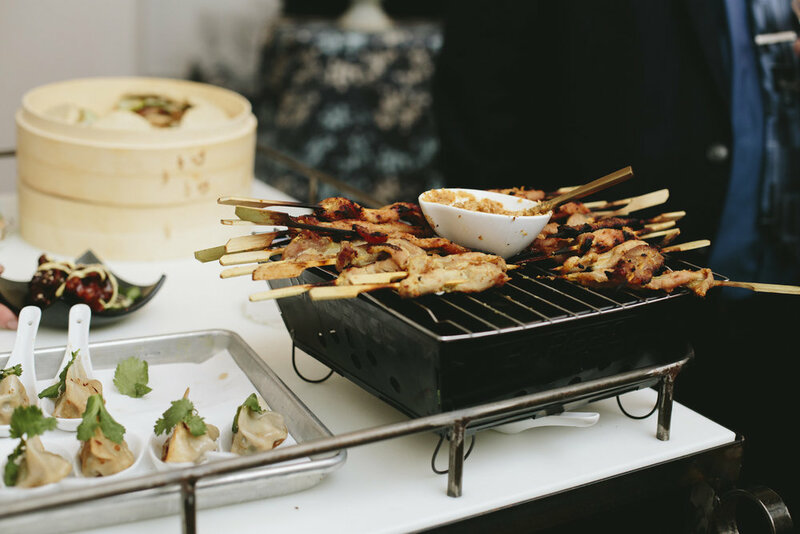 After saying their ‘I Dos’, Lauren & Dylan invited their guests to a special cocktail hour service: greeted with sparkling rosé and treated to dim sum in the main house, where carts delivered delicious Asian bites. As guests mingled, they enjoyed photos of the couple as children all around the house, as if Lauren & Dylan were hosting at their own home. The couple's guestbook was the famous Jacks Wife Frieda cookbook, another favorite spot in NYC for brunch and also one of the locations of their engagement photos. Guests were asked to write a sweet message next to their favorite recipe. 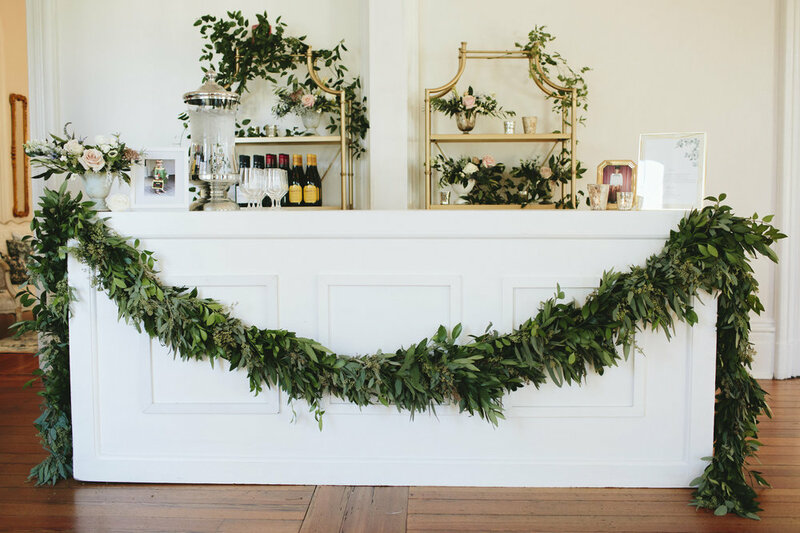 At the reception, guests found their seats on a wooden bar cart filled with varieties of individually potted herbs, hand calligraphed by the groom’s sister-in-law. As a fresh and local experience was important to the couple, a sign framed with greenery illustrated all of the local farms sourced for the night’s meal. The reception decor was inspired by The Nomo Soho (originally the Hotel Mondrian), where Lauren & Dylan stayed on their first trip to NYC together. They fell in love with the decor of the hotel, especially the restaurant, which was another setting of their engagement photos. Creating its elegant greenhouse feel, the restaurant is filled with trees, lush foliage, draping, and crystal chandeliers – the same ambiance we wanted to create at the beautiful Merrimon-Wynne House. In the spirit of private dining, banquettes were sectioned off by soft draping, around the perimeter of the carriage house, with a single chandelier centered above each table. 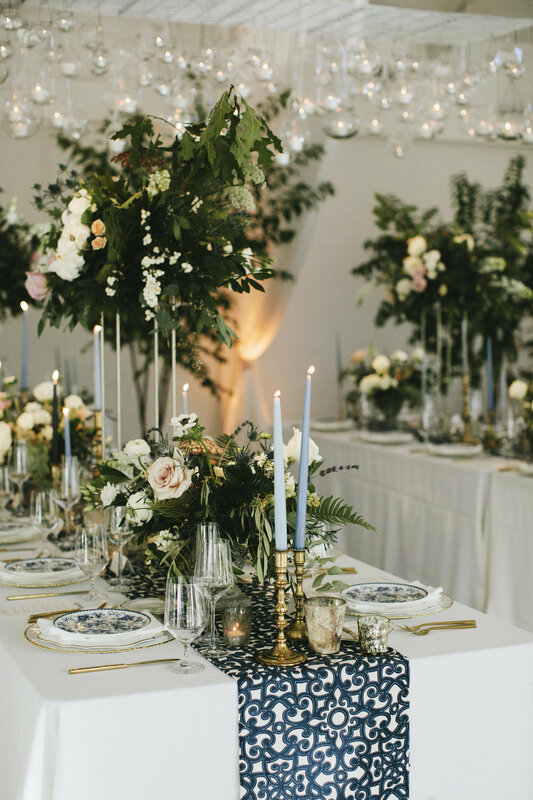 Over a dozen live trees added height and warmth to the room, as tabletops were filled with tall florals and an abundance of candlelight. To top off the entire look, a beautiful custom hanging glass installation in the center of the room emulated one of Lauren & Dylan’s favorite pieces of art at the restaurant. Honoring the bride’s Italian heritage, dinner was inspired by the couple’s favorite West Village restaurant, Barbuto. A local favorite in the Raleigh pop-up dinner scene, Snap Pea Catering, created a family-style dinner of Italian classics, with fresh and versatile farm-to-table fare. Each course was paired with wine and described by the head chef, as an added treat. From the Xi'an Lamb Dumplings on the dim sum carts at cocktail hour, to the Carolina Gold Risotto served family-style, each guest had a restaurant-quality experience with the feeling of an intimate family dinner. Remaining approachable and delicious, scrumptious diner cakes from local favorite, Hayes-Barton Café, were enjoyed in lieu of traditional wedding cake. An espresso bar with Italian cookies and plenty of dancing finished off the beautiful evening’s revelry, and in city style, Lauren & Dylan finally bid farewell in a white Lamborghini. 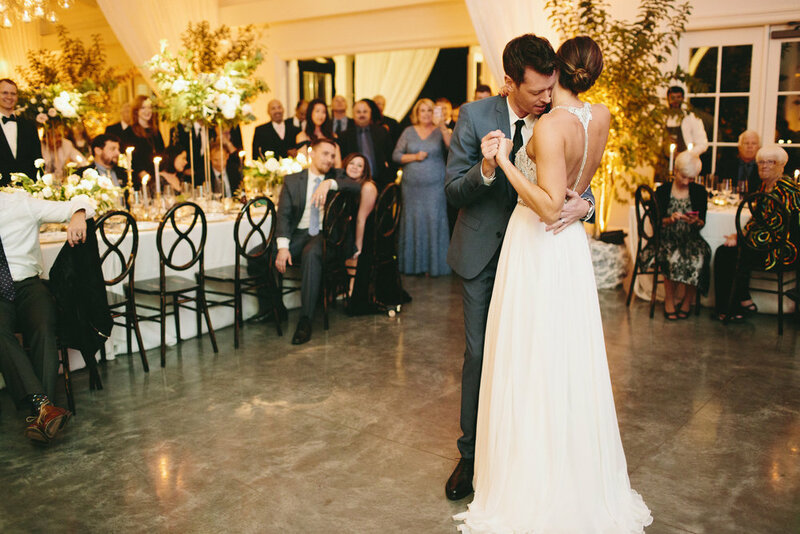 From start to finish, Lauren & Dylan’s wedding design treated guests to chic style, elegant cuisine, and a welcoming experience.